I’m pleased to announce that my new book is now available on amazon. 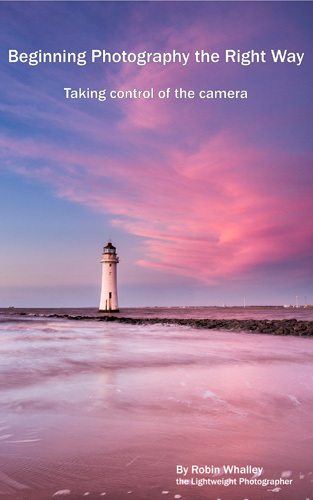 It’s titled “Beginning photography the right way: Taking control of the camera”. I decided to write this book following many conversations with photographers, some quite experienced experience, who really didn’t understand the core skills of camera control. Whilst they knew about terms such as aperture and shutter speed they didn’t appreciate how these could be used creatively in their work. Typically when shooting landscapes they might stop their aperture down as small as possible and make comments such as this was to maximise image sharpness. This book tries to set people on the right track with the essential knowledge required to use their cameras in the creative mode and covers the essential camera skills every photographer should learn. It’s prices at $3.99 on amazon.com, £2.21 on amazon.co.uk or the equivalent price on your local amazon site (before taxes). If you’re a Kindle Unlimited subscriber you can read it for free.